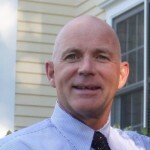 Sales Pipeline Generation Part 1: You are responsible for your pipeline, now what? What sales rep has not heard the line "You are responsible for your pipeline," and every good rep know its true. We are responsible for our pipeline. The problem we all face is that the cold outreach, what our marketing colleagues have rebranded as "interrupt marketing" is so inefficient that you can reasonably argue that it's a waste of time. Here is a success rate for all of us to contemplate Cold calling – 0.3%. This only confirms what we are all experiencing – an almost 100% ineffectiveness to cold calling. Do you answer your phone if you don't recognize the number? No. Neither does your prospect. One of the only methods that works today is to get an introduction to a decision maker via your network, and you could argue that this is "warm" calling. Another scary number to think about: According to (pick your analyst) by the time you speak to a potential buyer they are nearly 60% or more of the way through the decision process. The cynic in me will tell you that if you have not engaged with this buyer and he or she is 3/4 of the way through the buying process, someone else will and you are not going to win the sale. The question you should be asking now is "how do I engage with this buyer early in the decision process?” The idea came as a friend (a marketing consultancy CEO) was educating me on the latest demand generation process/theory/ideas - using the inbound marketing methodology. Simply put, the process of marketing to your prospects maps to the buying process. Now there is a corollary to Inbound Marketing called Inbound Sales. Consider learning more about it as a method of improving sales efficiency. Awareness - I am educating myself - brand agnostic. 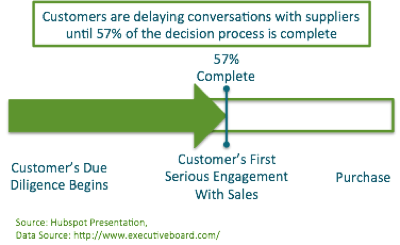 Decision – The buyer reaches out to your company to engage by requesting a consultation or other definitive sales related action - pass the lead to sales and sales engage. My epiphany came when I thought, if I am my own pipeline builder and clearly the old way (interrupt marketing) doesn't work, I should embrace my inner-marketer and build my sustainable pipeline with inbound marketing techniques. You should too. 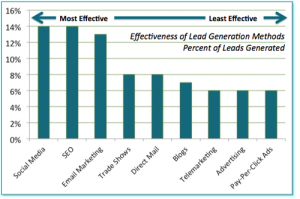 Sales Pipeline Generation Part 2: Sales can build a sustainable pipeline with inbound marketing.